Can't attend? Follow 1MyLove to know of future events! 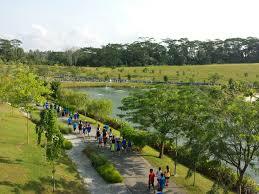 Punggol Park is a scenic lookout located at the end of north east line MRT in Singapore. It has a unique view of the sea and has the view of the pulau ubin if you manage to get to the end of the punggol serangoon reservior connector. A very popular place among residents up NorthEast , especially during the night. 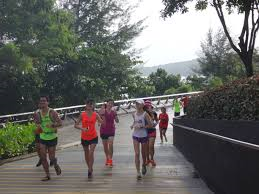 This place is full of people jogging especially at night and a good fresh air which is rich in fauna and flora. And its unique coastal walkway. Bring along $10 for the rental of your bicycle and pay the bicycle vendor. This fees I am collecting is not including bicycle rental. l will be meeting you all at Punggol Park opposite 401 Hougang Ave 10, Singapore 530401. Please note that we'll leave at 3:00 pm sharp, so be punctual. There'll be a long break at Whisk & Paddle to watch the sunset and there is some toilet there. For those who are not cycling, you will walk together with me. After the walk we will meet at KPT Kopitiam @Hougang for dinner together at your own expense at around 8 pm. The event will end around 9 pm after dinner. There will be games, ice breaker and briefing at the beginning of the event. Kindly arrive early so you listen to the instructions rather then asking the organizer to repeat. For those who do not wish to reach the end point, the organizer will inform a location to meet while waiting for others to complete the trails. 2. This is a social event, hence we encourage participants to be friendly as far as possible. 3. If a participant have used any verbal, physical attack, lies or harassment towards any of the participants, your name will be blacklisted and prohibited to attend any further events. 4. The participant understands that during the course of the event if there is an accident or illness the cost is solely on the participants. The participant agrees to assume all risks associated with the trip and indemnifies the organizers and hosts against all claims, disputes arising from his / her participation.